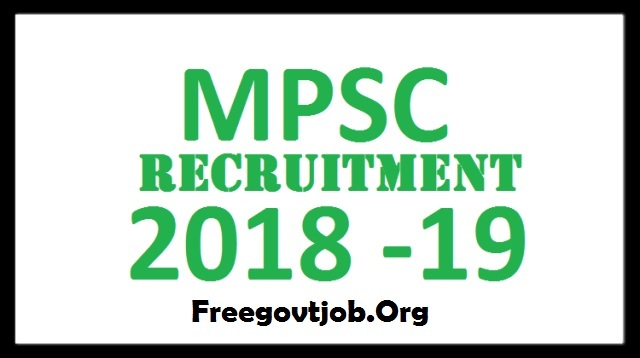 MPSC Recruitment 2018 for AE and AEE 137 Vacancies | mahampsc.mahaonline.gov.in : Maharashtra Public Service Commission (MPSC) has released a notification for the recruitment of 137 Assistant Engineers (AE) and Assistant Executive Engineers (AEE). Interested candidates may check the vacancy details and apply online from 04-05-2018 to 24-05-2018. Educational Qualification: Candidates should have passed B.E. OR B.Tech. in Civil and Water Management/Civil and Environmental/Structural/Construction/Electrical and Power/Electronics and Power/Power System /Electrical and Electronics Engineering from a recognised university. Selection of candidates will be made on the basis of Preliminary Exam, Main Exam and Personal Interview. General/UR/OBC candidates have to pay Rs. 374 and SC/ST candidates have to pay Rs. 274 through SBI Bank Challan OR online mode using Net-banking/Credit or Debit Card. Interested and eligible candidates may apply online through MPSC website - https://mahampsc.mahaonline.gov.in/ - from 04-05-2018 to 24-05-2018.